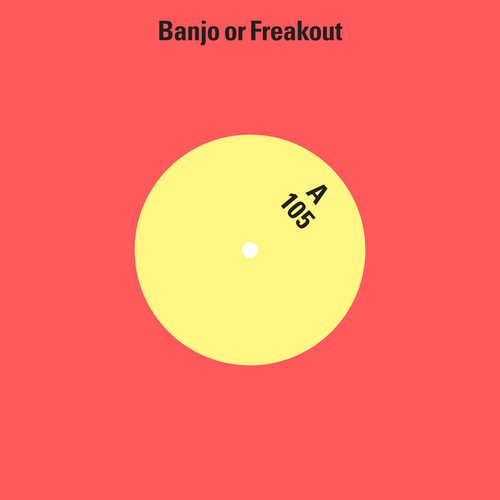 105 is Banjo or Freakout's debut single for Memphis Industries. Comes in white vinyl with Dead in the Snow on the b side. BoF has been creating a few waves over the past couple of years as an unsigned artist with singles 'Mr No', 'Upside Down' and 'Left It Alone' and his mournful, eerily affecting remixes and reworks for bands such as Wild Beasts, Bloc Party, Lcd Soundsystem, The Soft Pack, Bombay Bicycle Club. He is particularly active online constantly uploading little gems on his blog such as a whole covers album and a whole christmas album and lots of other goodies bringing him to get the prestigious 'Band Of The Day' treatment on the Guardian and making him an 'often talked about artist' on well respected websites like Pitchfork, Stereogum, Gorilla vs Bear. As a prolific artist 2010 has seen not only the completion of Natalizia's debut BoF album but also the release on the hugely influential Kompakt label of his other project, the much heralded organic electronica of Walls (9/10 NME, 4/5 The Guardian, 4/5 Mojo). Natalizia's songwriting is as preoccupied with sonic invention as much as it is with timeless pop sensibilities and these two brand new songs are a continuation and growth of his beautiful stargazing pop. '105' is a slow burning, trembling love song about everything and nothing, with swirling sound, shimmering layers of harmonic guitars and a dreamy and intimate vocal. Probably one of BoF's most straight forward pop songs to date. A masterclass in claustrophobic shoe-gaze joy - this is hushed, sensitive watercolour pop. The song is named 105 as it was Alessio’s 105th demo for the album. B side 'Dead in the Snow' is more experimental - atmospheric and loop heavy. Obsessive beats eating into each other as they find a mutual rhythm with a delirius vocal, haunted like a voice lost to the city. 105 was, like the rest of the forthcoming long player, recorded at Rare Book Room Studios in New York with Nicolas Verhens, known for working with Animal Collective, Deerhunter, Dirty Projectors and Spoon. In the forthcoming BoF album Alessio played most of the instruments with Nicolas helping out playing some guitar/synth parts and Matt Tong of Bloc Party chipping in on drums on a few songs too.